CLEVELAND – Shooters tend to gravitate toward certain spots on the floor, regions where their shot heats up. 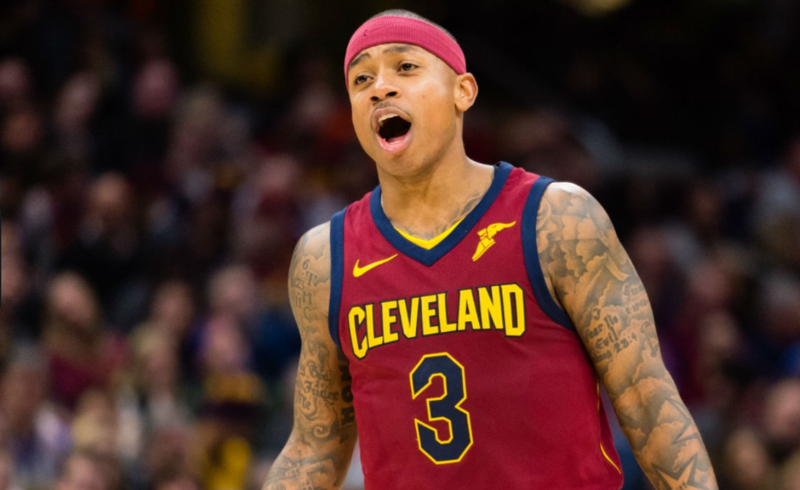 Isaiah Thomas is still searching for his comfort zone this season. 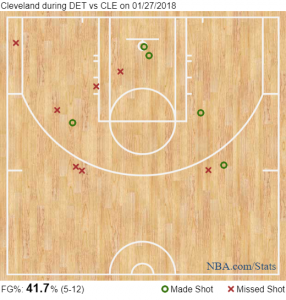 Both charts above favor the mid-range and close-range shot attempts, courtesy of Thomas’ shiftiness in the half-court offense. His long-range shot attempts leave room for improvement, particularly on the wings of the backcourt. Simply put, Cleveland’s offense has not played to Thomas’ strengths since he returned from a hip injury on Jan. 2. Layups in 2018: 20.2 percent shot rate (18-of-89) – 50 percent shooting percentage (9-of-18). Layups in career: 30.6 percent shot rate (1,873-of-6,113) – 58.4 percent shooting percentage (1,094-of-1,873). Mid-range jumpers in 2018: 27.0 percent shot rate (24-of-89) – 45.8 percent shooting percentage (11-of-24). Mid-range jumpers in career: 31.1 percent shot rate (1,900-of-6,113) – 39.5 percent shooting percentage (751-of-1,900). Three-point jumpers in 2018: 52.8 percent shot rate (47-of-89) – 27.7 percent shooting percentage (13-of-47). Three-point jumpers in career: 38.2 percent shot rate (2,340-of-6,113) – 36.5 percent shooting percentage (853-of-2,340). Thomas is settling for more three-pointers than ever before, and struggling more than ever before while doing it. Whether it is his hip or his inability to gel with the fifth-ranked offense in the NBA, the numbers show him shying away from production inside the perimeter, the place where he has historically thrived. 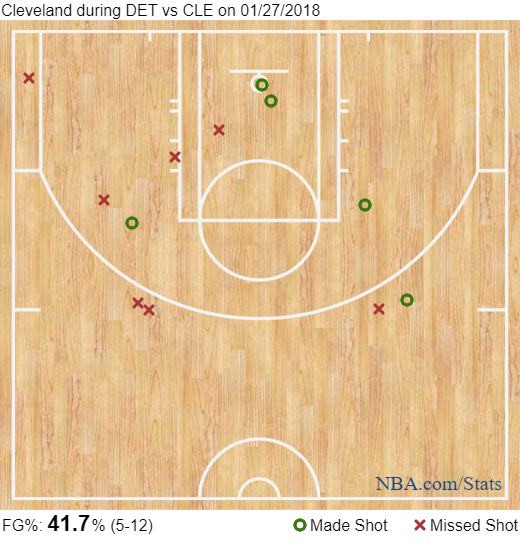 The Cavs will need to find a game plan that fits Thomas best throughout the second half of the campaign, as his dependence on the three-pointer has cast a shadow on the regions where he has success. Instead of shipping Thomas away before the trade deadline on Feb. 26, there is reason for Lue and the coaching staff to adjust based on Thomas’ long-term trends rather than react based on his short-term slump. What he really needs is to grow about a half a foot or so and then, instead of watching the game on the defensive side, he actually participates. I mean I bet he doesn’t even buy a ticket to watch. How sweet is that?